The US senate has just passed a major tax bill… and hidden within it is bad news for America’s threatened polar bears and other Arctic wildlife. The Tax Cuts and Jobs Act aims to reduce tax rates. To pay for the cuts, the bill relies at least in part on expected revenue from revenues generated by new oil and gas drilling in the Arctic National Wildlife Refuge, perhaps one of the most beautiful and untouched wild places in America. The Arctic National Wildlife Refuge is a special place. It is one of the most important onshore denning habitats for America’s threatened polar bears and is also home to snow foxes, musk oxen, and the nation’s largest caribou herd. Polar bears will pay a heavy cost. Climate change is already driving polar bears to extinction. Now lawmakers have not only doubled down on dirty drilling that feeds climate change, they are threatening the denning habitat, unpolluted waters, and sea ice these beloved bears need to survive. Polar bear mother are so sensitive to noise and disruption — which is common in drilling operations — that they may abandon their cubs if the disruption is too great. Without a mother, young polar bears rarely survive. 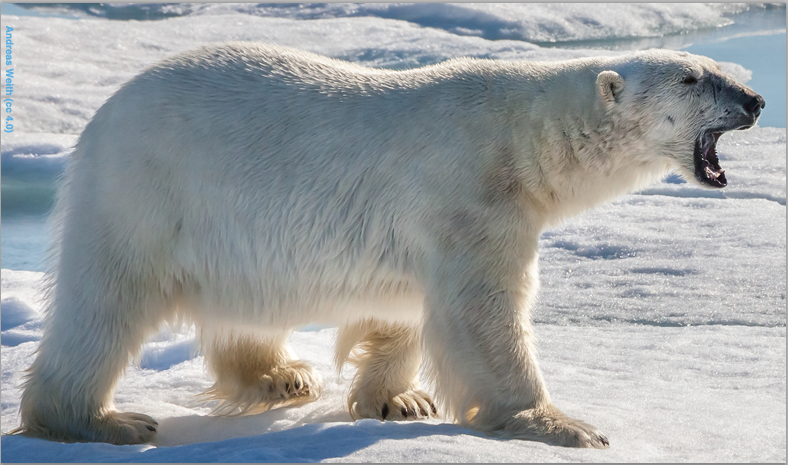 More drilling also increases the threat of spills and pollution that can cause polar bear fur to lose its insulation. As a result, polar bears who are highly adapted to the harsh Arctic conditions will freeze to death in the frigid waters where they find their food. 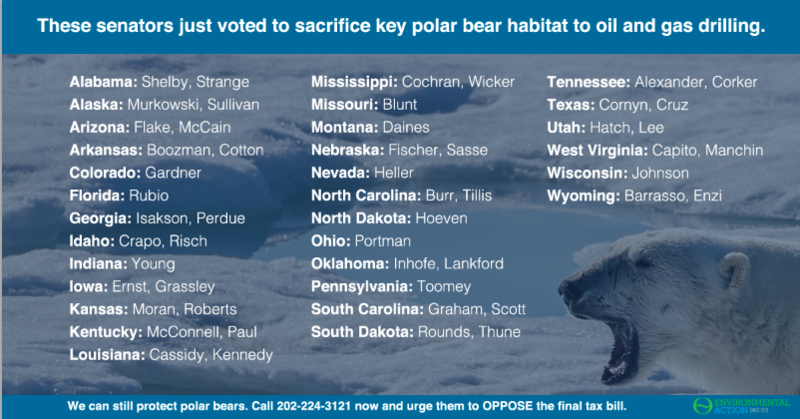 We must not sacrifice polar bears and other irreplaceable wildlife for the sake of a tax cut. Fortunately we might not have to. The House of Representatives and Senate have both passed versions of the tax bill, but the chambers must still reconcile differences between each chamber’s version, and then vote again. That means we still have time to convince our representatives to reject the bill and protect threatened polar bears and other wildlife. “My name is [YOUR NAME] and I am calling as a constituent from [YOUR CITY] to urge you to OPPOSE final passage of The Tax Cuts and Jobs Act. The bill would sacrifice significant portions of the Arctic National Wildlife Refuge to dirty and destructive drilling on the most important onshore denning habitat for America’s threatened polar bears. Last week, 52 senators voted to industrialize one of America’s most amazing wild places for the sake of a tax cut and hundreds of millions of dollars in new government debt. If we are going to reverse their votes, these lawmakers need to hear from their constituents. If your senator (or the senator of someone you know) supported drilling in the Arctic to pay for tax cuts, please share this graphic now.